Of course, it is simply not possible to ignore any kind of nuisance caused by the pests in your home. From fleas to bedbugs, termites, and there are many other kind of insects which are going to give a lot of stress and they can also cause serious damage to your belongings and goods. For all the business owners, pests are definitely one of the biggest problems for business owners because they completely damage the reputation of the company. This is one of the major reasons why more and more people look for the best pest control service WA so that they can get rid of the pests within a short span of time. After seeing the cockroaches and rodents or probably fleas in your building, your customers won’t really do any business with you. 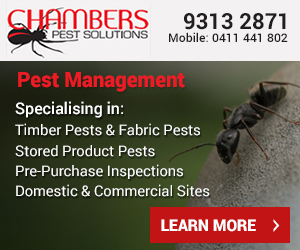 In this case, it is a good idea to look for the company who can assure you with pest control Perth Northern Suburbs. There are many pest control companies and not all of them can assure you with the same quality of services. You should have a look at the pamphlets offered by the different companies or visit the website so that you get all the essential information about their services they offer. Just because it’s written in a pamphlet that they are the best company for Pest control Perth Northern Suburbs, it simply doesn’t mean that it’s true. Of course, a company is only going to highlight the positive features and set aside the negative ones. Keep all these great tips in mind to choose the best pest control services.